MARBLE ROCK, Iowa — Bonita J. Staudt, 78, of Marble Rock died Monday, April 10, 2017, at the 9th Street Chautauqua Guest Home in Charles City. A Funeral Mass for Bonita will be held 10:30 a.m. Monday, April 17, 2017, at Saint Mary’s Catholic Church in Roseville with Monsignor Brunken celebrating the Mass. Burial will be at Roseville Cemetery. Visitation will take place at Saint Mary’s Social Hall in Roseville from 5-7 p.m. on Sunday, April 16, 2017 with a scripture service starting at 7 p.m. Visitation will continue one hour before the service at the social hall on Monday. Bonita Jane Marsh was born July 10, 1938 in Greene, Iowa, to Willard and Helen Marsh. She graduated from Marble Rock High School in 1956. Bonita married Roger Staudt on June 16, 1958, at Saint Mary’s Catholic Church in Greene. They were blessed with five sons, 13 grandchildren, and two great grandchildren. Bonita enjoyed being a farm wife, participating in card club and attending all of her children and grandchildren’s activities. She enjoyed traveling and wintering in Arizona for 14 winters. Family was the most important thing to Bonita; she loved cookbooks, baking and cooking for family, and hosting Dekalb plot suppers for over 30 years. 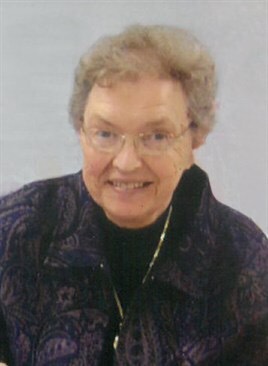 She was a member of Saint Mary’s Catholic Church in Roseville. Bonita is survived by her husband Roger of 58 years; sons: Patrick (Monica) Staudt, Anthony (Janet) Staudt, Jeffery (Sandy) Staudt, Fredrick (Laura) Staudt and Phillip (Sonya) Staudt; 13 grandchildren; 2 great grandchildren; brother: Roger (Terri) Marsh; and sister: Brenda Ballard. She was preceded in death by her parents: Willard and Helen Marsh; parents-in-law: Earl and Dorothy Staudt; and brother: Ronald Marsh.